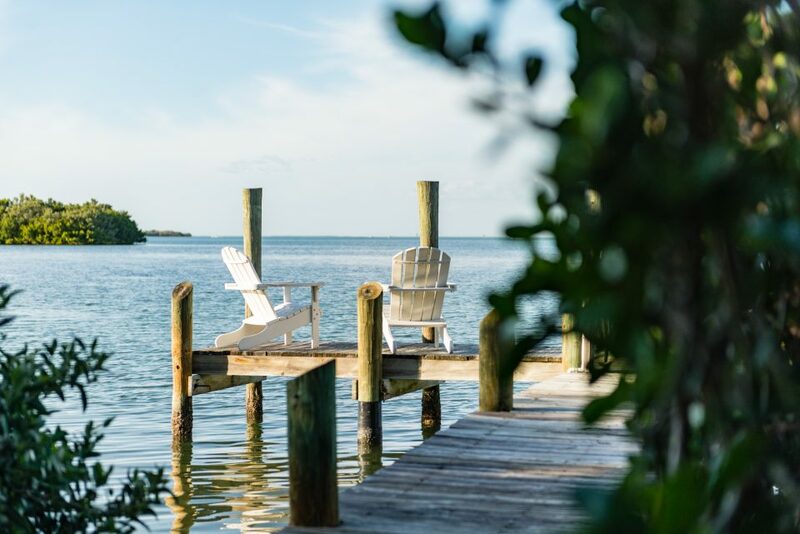 Whether you are just coming in for a burger at the infamous Cabbage Key Restaurant or planning to spend a few nights, here’s why you must visit this iconic island in southern Florida. “A slice of old Florida,” I heard it described by several before I arrived at the small island of Cabbage Key. Never having been to ‘old’ Florida before, I wasn’t terribly sure what that meant. I had been to Orlando, Fort Lauderdale, and several other cities in Florida, always for those quick vacations and needed getaways. I have done the theme parks and seen the beaches. With that as my reference, what could ‘old Florida’ truly be? I had heard stories though, of families returning year after year to places like Sanibel or other coastal classics. Of crossing the bridge and returning to discover it just as you’d left it, time after time. And although it struck me as novel, I had placed those stories in the context of memory shared, and hadn’t thought much more about it. Over the next 24 hours, while visiting Cabbage Key, I was going to get a glimpse into just what those memories meant, and how ‘old Florida’ really is still a term to describe this paradise. As we pulled alongside the private dock for the rental cottage shortly before the lunch rush, I started to imagine booking the whole suite of them for an expansive family vacation. The excitement of a vacation that you can only get to by boat, the idea of minimal outside interaction and the adventure of exploring the island. It was the exact opposite of the last several family vacations I’ve had, and the novelty of it struck my fancy in our mobile-driven contemporary world. The main building, originally built in 1937 as the winter estate for the Rineharts, has had a long life with a fun history. It is open year-round for visitors, and houses the restaurant. It still has its original floors and rustic charm. With its island servicing water tower standing sentry over grounds and free-roaming resident tortoises, I immediately felt like I was flipping the pages of a familiar book, and that time truly didn’t matter there. As we meandered through the live-oak lined path towards the main building, the place came alive. 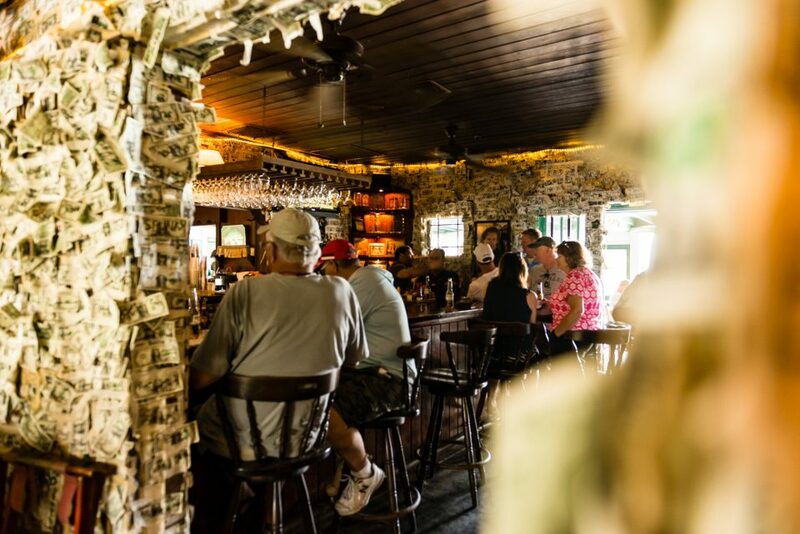 The Cabbage Key restaurant is a famed local pick for anyone spending the day on the water. And the boats come in from the Gulf by the minute. Every seat was taken, both inside and out front on the patio, on the mild sunny day in the middle of Spring Break. The hum of friendly conversing families filled the air as the skilled staff quickly maneuvering through everyone with a comfortable and friendly familiarity. A classic pure beef hand pressed patty on a bun, with lettuce tomato and onion. Nothing over the top, wild or crazy. Just the quintessential burger we all want from time to time. But that’s just the start of the menu. 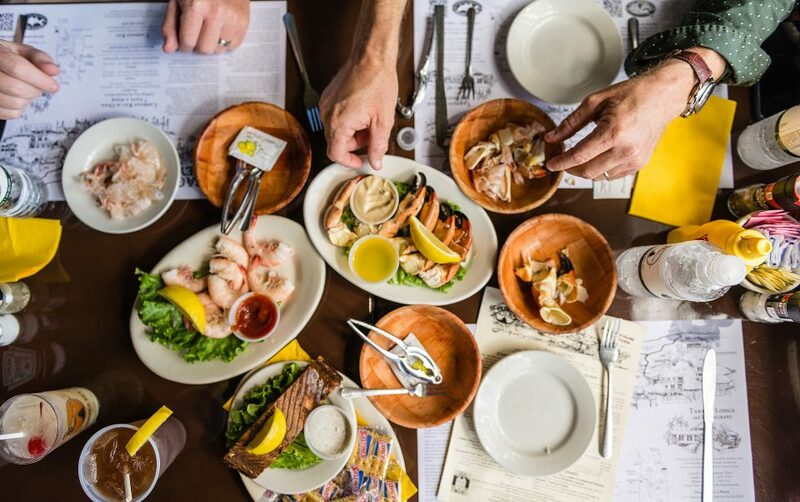 Both Cabbage Key and Tarpon Lodge celebrate the local bounty with daily fish specials, fresh caught Florida shrimp, and another regional must, in-season stone crab. And of course, with a full complement of other fresh food brought in daily, also by boat, for preparation. 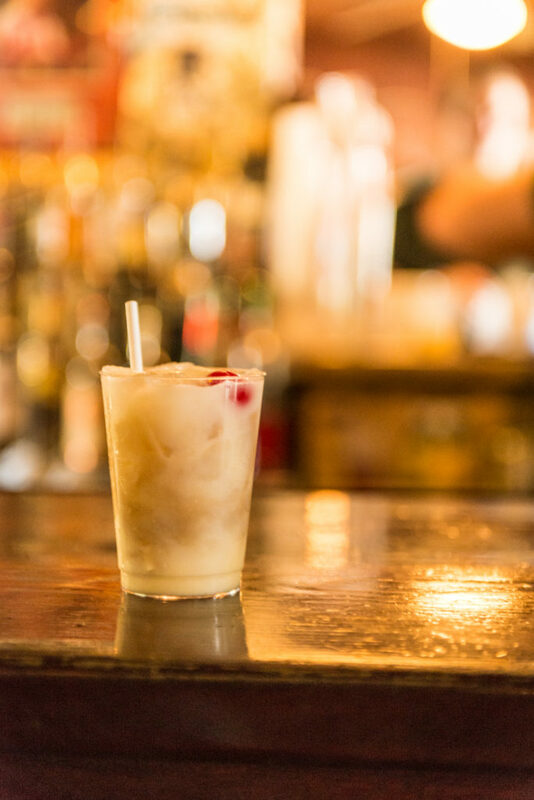 The signature cocktail, the Cabbage Creeper, really is one that could catch up with you. And of course, the menu featured everyone’s favorite dessert, frozen Key Lime Pie. 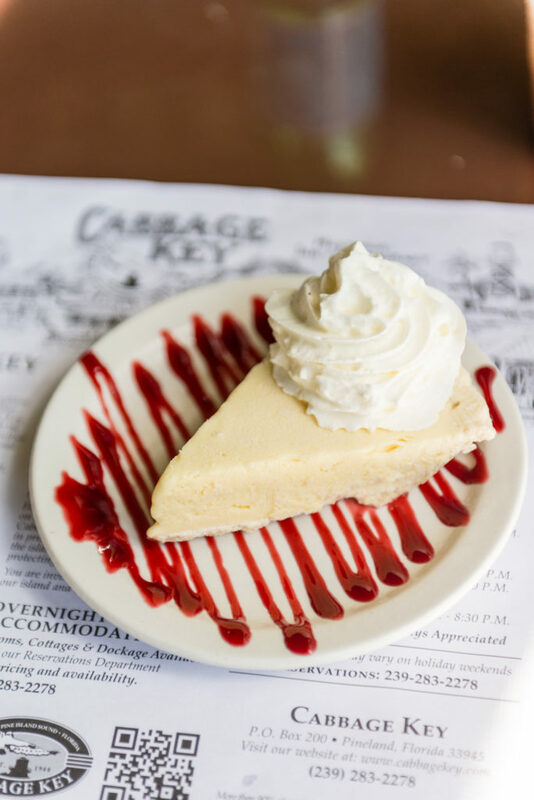 A tip from the owners themselves, explained with the familiar excitement of a childhood fondness, let the key lime pie sit a few moments. It gets better when it’s just starting to melt. 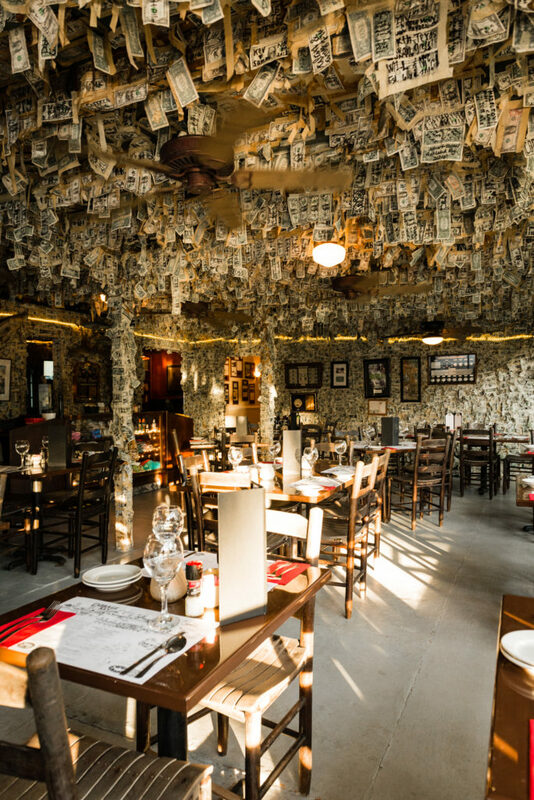 Another famous detail about dining at Cabbage Key is the dollar bill lined walls. A variety of theories sticks these bills to the walls, but I like the idea of saving my buck for my return visit. Even years later, it’s fun to hunt and see if your dollar has survived. The dollars that fall are collected and donated each year to charity. And as quickly as they fall, they are replaced by new visitors young and old taping their bill in place. When the lunch rush thinned out, and the majority of the boaters set out to other activities, Cabbage Key quieted and came alive. An afternoon stroll along the nature trails, up to the top of the water tower, and peaceful quiet sunset over the smooth Gulf coast were immediately restorative in what felt like my own private utopia. Evening hosts an entirely different feeling on Cabbage Key, more intimate and pure, and it was to me, when the island shone brightest. I sat and chatted for what seemed like hours with strangers and fast friends at the bar that evening and we all agreed, this was truly a place for relaxation. 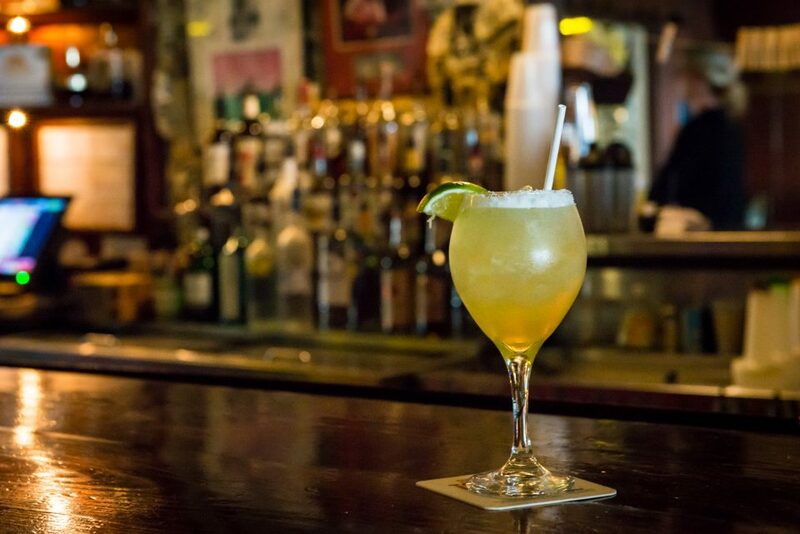 So, this was ‘Old Florida.’ The feeling of a welcoming place held timeless with its original floors and comforting feel. A place that felt like it had paused, and somehow not aged at all, generation after generation. “There are no clocks,” one friendly patron explaining to me about the relaxing feeling of the island. Since the moment when I had pulled up to the dock and stepped onto the island, I hadn’t even thought to look for a clock. I wasn’t in a rush and felt while at Cabbage Key, I didn’t have to be. 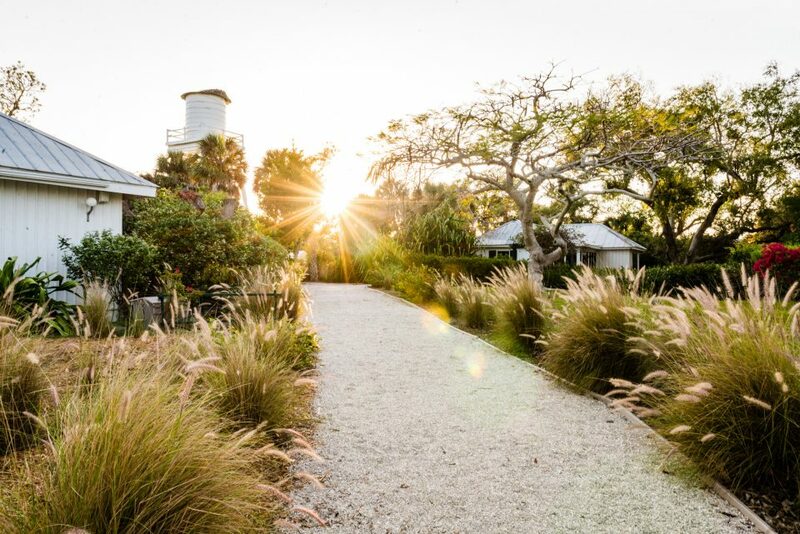 Want to come to Cabbage Key, but worried the family won’t do well without the flashy lights and high-speed wires? That’s ok, come anyway. They can reenact the Hunger Games while you relax on a private dock. But, before things get dystopian, it’s an easy trip to plan for a 2-night stay, with stops before and after at places with all the modern tech. 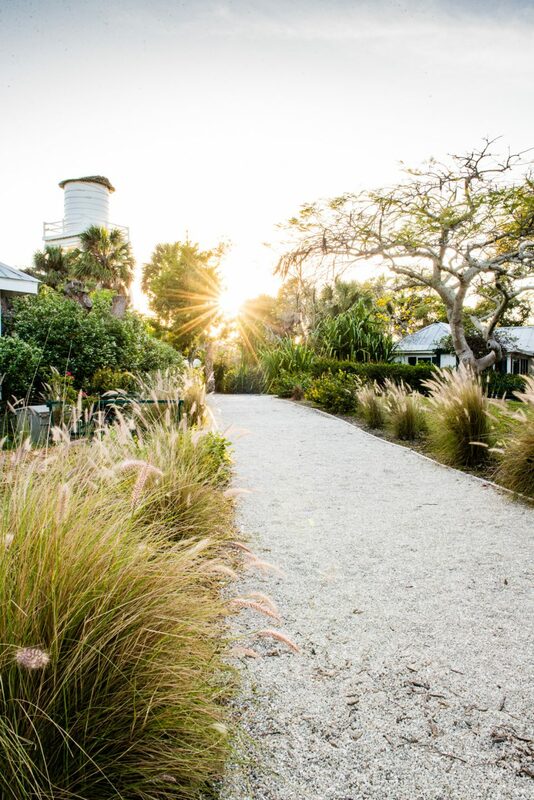 For families that want to escape to old Florida, and need a pause from the modern tech, spending a few nights at Cabbage Key is the perfect way to soak in the areas relaxing nature. Book a charter to get to and from the island for 2 nights while bookending the trip with stays at South Seas or family-friendly resorts at Fort Myers Beach, and enjoy a slice of true Old Florida at its finest. You can only arrive at Cabbage Key by boat. Located near marker 60 on the inter-coastal highway, getting to Cabbage Key by boat is a fun experience. Fly into Fort Myers and book a private charter or take the water taxi Island Girl Charters from Pineland Marina. Be sure to factor travel time into your reservation to ensure a smooth arrival and departure. If you are staying in one of the cabins, be sure to bring a cooler with your groceries. The on-site restaurant is open for breakfast, lunch, and dinner. 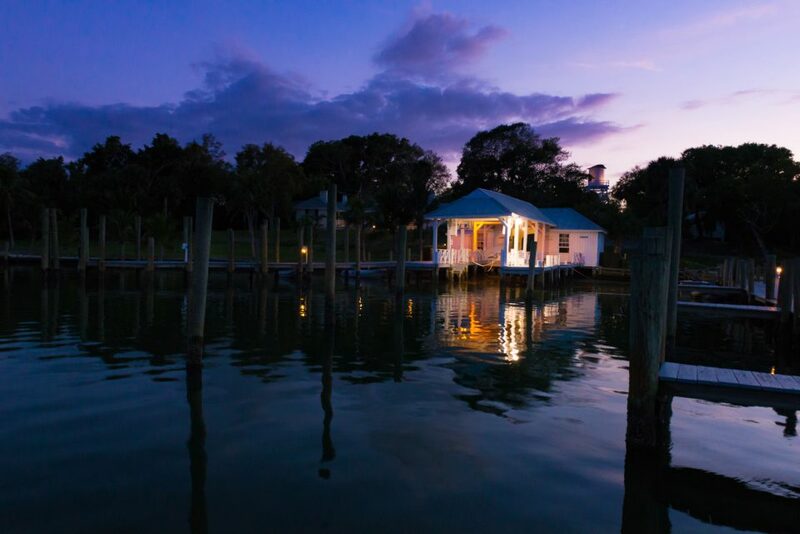 There are six beautiful rooms at the historic Cabbage Key Inn and 8 cabins for rent on the island. The rooms on the main inn sleep 2 each and are connected to the main restaurant. Each room has its own private bath and stunning views. There are no TVs in the rooms, but you won’t even miss them. The newly remodeled rooms have kept the charm of the original Rinehart estate with original floors and charming details. The cabins are equally as charming and loaded with history as well, some even being maintained from the original Rinehart estate. Of course with modern amenities and private decks with water views. 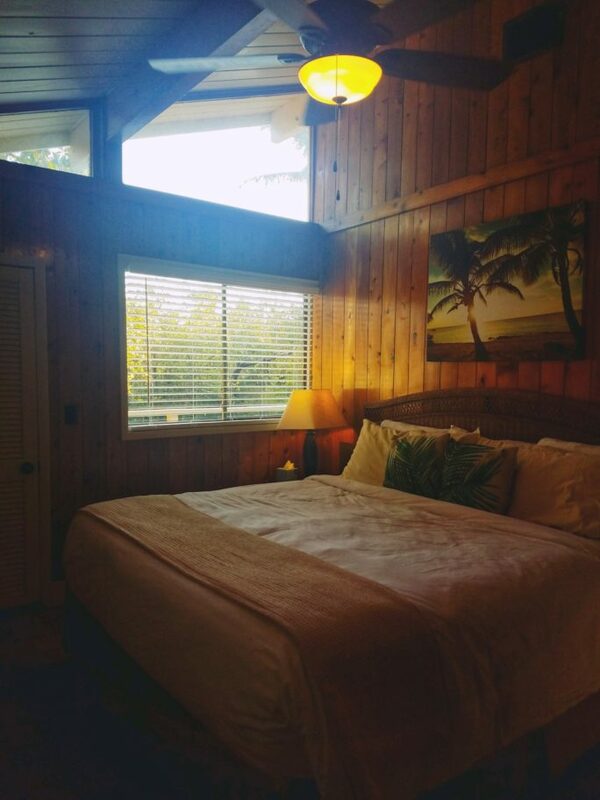 The cabins can sleep from 2 to 8 guests. 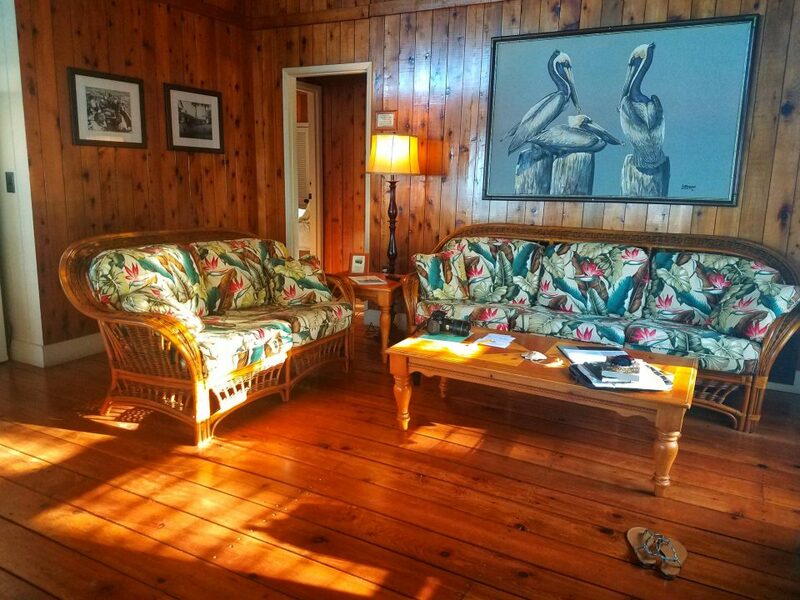 The Cabbage Patch, Harborview, Snook, Blue Heron, and Tarpon Cottages all have full kitchens, and all of the cabins have coffee makers and small refrigerators. Each of the cabins is within walking distance of the main inn. 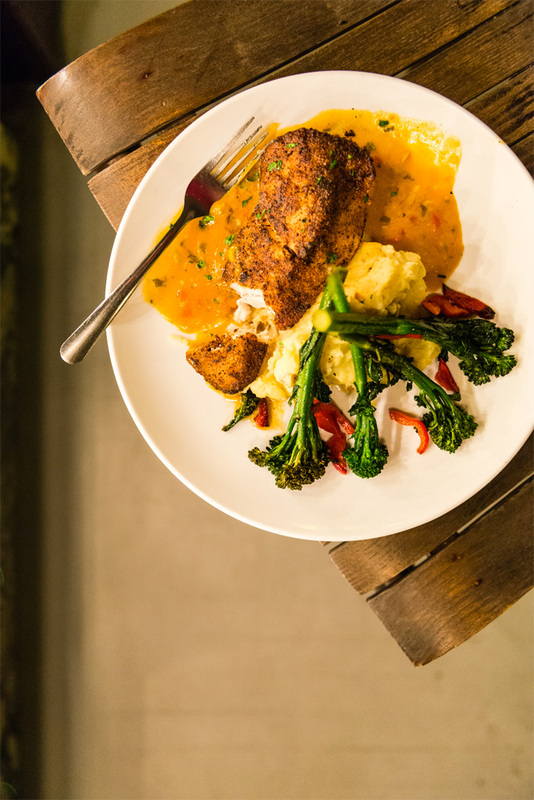 Once you’re on the island, unless your cabin has a kitchen, there’s one spot in town. 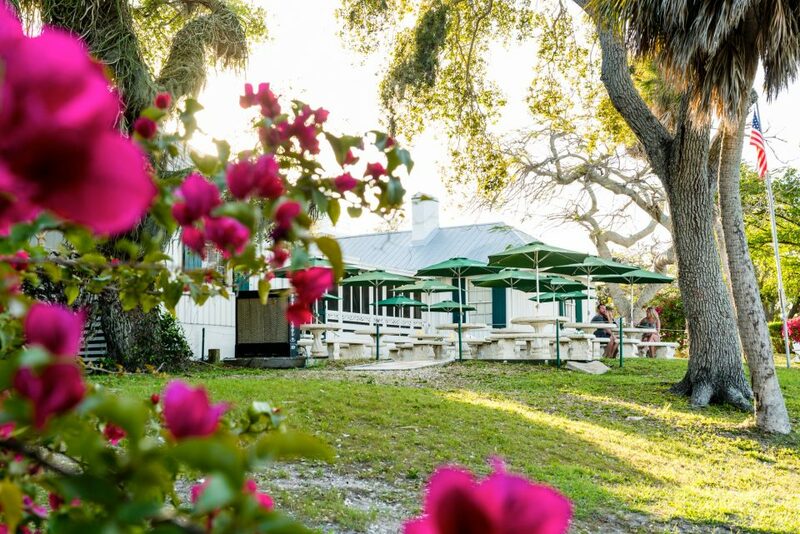 The Cabbage Key restaurant is open for breakfast, lunch, happy hour, and dinner. Ask for Ms. Debbie and take her recommendation on the turtle pie. (Ok, the entire staff is wonderful, but she’s extra special). 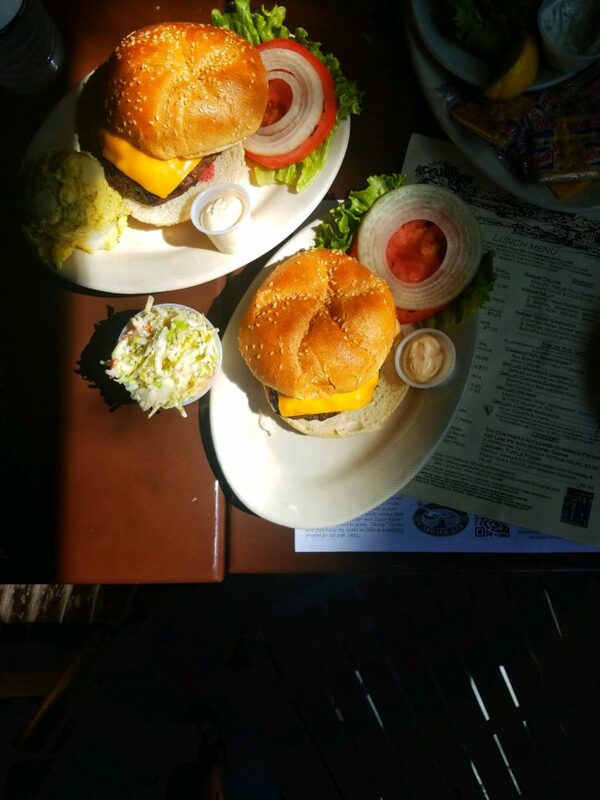 Enjoy a cheeseburger at lunch, but stay for an exceptional dinner at night. Cabbage Key is truly a quiet coastal island. Bring a book and catch up on reading and digital detox. Sightseeing: Enjoy the quiet gulf coast sunrises and sunsets, local osprey and more. 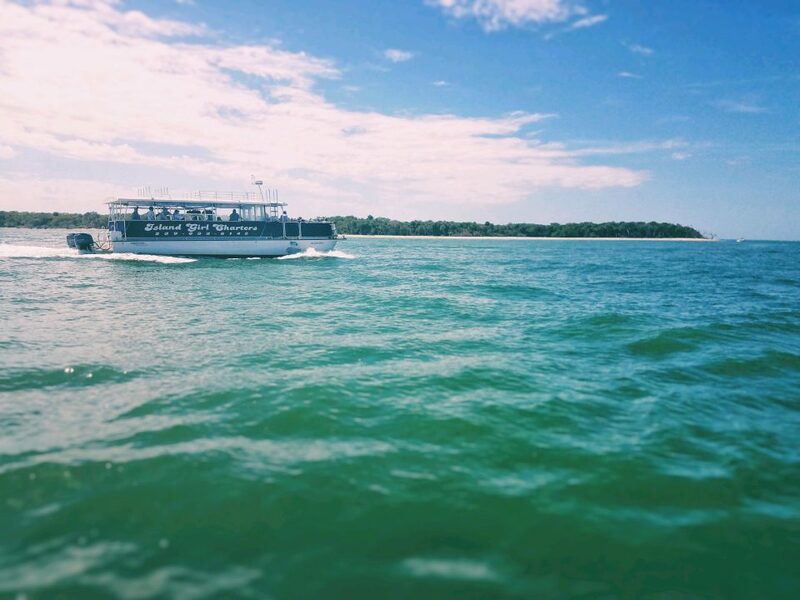 Dolphin tours: Charter a water tour to see dolphins, manatees, local birds, and more. 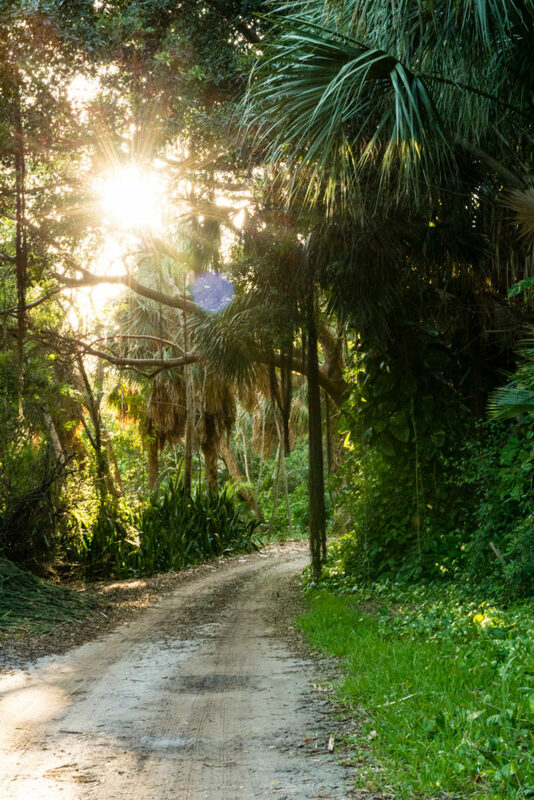 Nature walks: The lush 100-acre island has a nature trail to walk where lizards, snakes, and birds can all be quickly spotted, as well as indigenous plants. Kayaking: Kayaks are available for guests. The water is calm most days and perfect for kayaking. 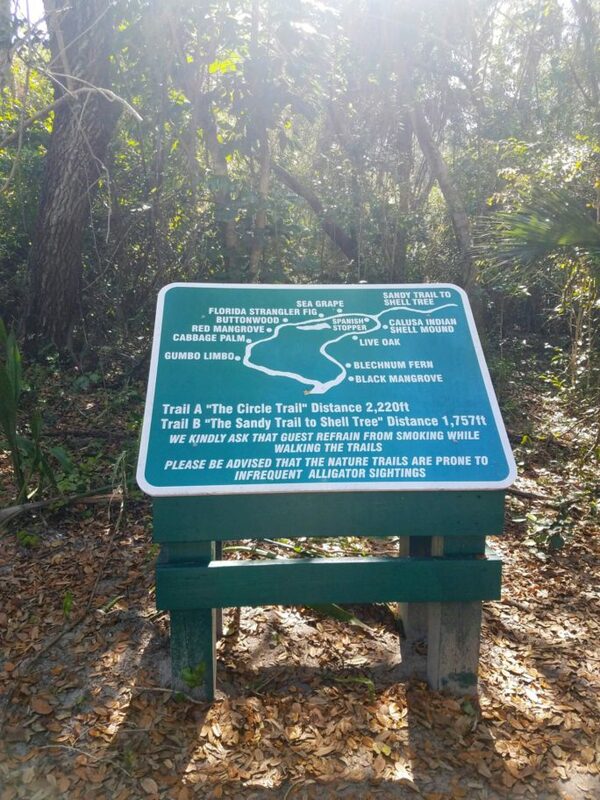 Learn about tortoise: The island has several resident gopher tortoises with their own ‘homes’ and educational plaques to learn about them. Bonus points if you guess who they are named after. Read up on the history: Each of the cabins has a binder with extensive knowledge of the island curated by one of the managers. It’s incredibly well done and worth the read. This article by Kita Robers originally appeared in Pass The Sushi.